Why they took the King out of King Kong? I find it very disappointing that the giant ape we see in Kong: Skull Island is only referred to as “Kong”. At one point they even throw in a lousy sentence where Samuel Jackson says that we will “show Kong that man is King.” That’s the closest we ever get to them calling him King Kong. What is even more upsetting is the fact that that overgrown Gorilla in Peter Jackson’s 2005 remake is actually called King Kong, and he looks like nothing but an unimaginative, overgrown Gorilla. 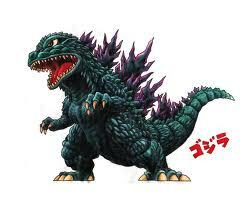 Just imagine Godzilla without the God. Pretty lame right? That’s just me though. What do y’all think? Are you guys upset that the new Kong has been stripped of his “King Kong” title? 20 Responses to Why they took the King out of King Kong? Because he has to challenged Goji first before taking the title, ok, I actually don't know why. I think it has to do with a lot of legal shenanigans. The Cooper estate, the family of Kongs creator, Merian C. Cooper, owns certain portions of the character, and since RKO was acquired by Universal, they also own some parts of the character. It gets even murkier since Universal lost a case they brought on Nintendo for using the name Donkey Kong. I think literally the only way we are able to Kong in the Monsterverse is because they don't put "King" in name. I'm not even sure if that's the reason. 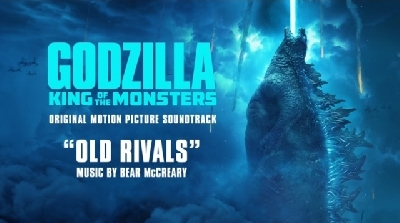 In Japan, Kong: Skull Island was released as King Kong: Giant God of Skull Island, plus the name "King Kong" is used as the name of a track in the film's official soundtrack. 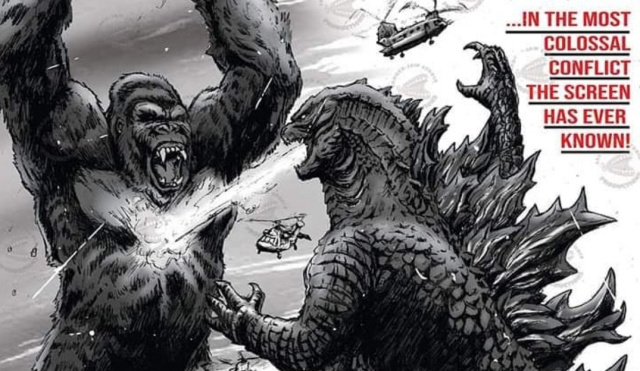 The solicitations for the Skull Island: The Birth of Kong tie-in comic series also described it as "the story of King Kong." The FunKo Pop! figure of the 2017 Kong is also called "King Kong." Legendary may be able to use the name King Kong, but potentially either can't use it in the English title, or simply thought the title sounded better without the "King." The only thing that's for certain is that the rights to Kong are all over the place and we will always be left with questions like this. I love this Kong and he may be the baddest one yet. 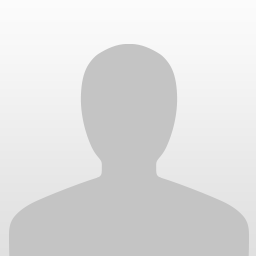 But still when I look at him, I think who the hell is this? Is this Donkey Kong? King Kong? Or just Kong? It seems sloppy to me. I suppose Legendary thought it was now or never with his rights. But do we really need King Kong so bad that we’re willing to sacrifice his character to some degree? I say no. I don't think anything about the character was necessarily sacrificed. It's pretty clear which Kong this is given the film, marketing and material. 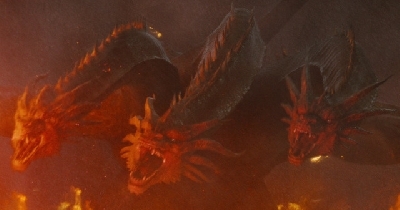 The film's characters consistently refer to him as a "king" or "god"--The inferred references solidify the monster's iconic status. And to be fair, since 1933, just "Kong" has always been the monster's actual name. "King Kong" was the name given by the character Carl Denham--With a sense of mocking irony, since he had been captured by that point. 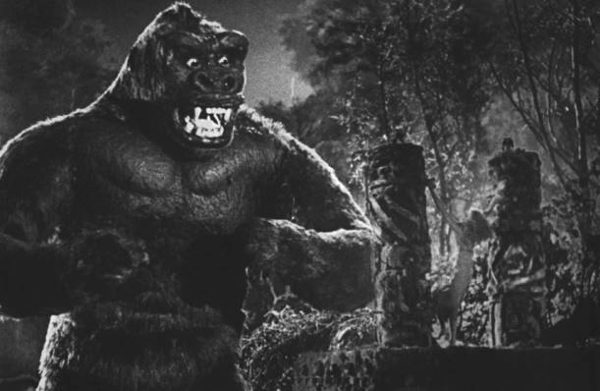 Skull Island may not have "King" in the film title, but the characters in it gave him that designation more quickly and reverently than the players in the original film. 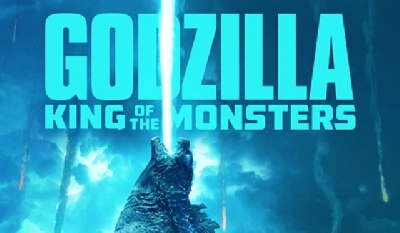 This is less of a case of "God" being dropped from Godzilla's name and more of a case of "King of the Monsters" being dropped from Godzilla's title. I see what you’re saying but I still find it disappointing that we never hear the iconic title “King Kong.” Whether they’re mocking him or not, I don’t care, I would just like to hear some confirmation in the actual movie, that he is in fact “King Kong” not Kong, King of Skull Island or some other bull crap that implies he is King Kong. I might be okay if they would have include King Kong in the title, but they couldn’t even achieve that. Seems like a lot of kicking and screaming over something that's fairly clearly revered as a king/god, regardless. What are we talking about? Its "King" Kong! In the original movies and novel, Kong came from Skull Island. The movie is called Kong: Skull Island. Its King Kong just not fully grown up yet. Im sorry this seems silly to squander about. I can only assume they don't say King yet is because Kong is not fully grown into "KING" size yet. Its freaking King Kong people. Don't you remember the mass panic and hysteria where people were confused by the misleading marketing that it wasn't a Donkey Kong movie?! It clearly affected the box office. 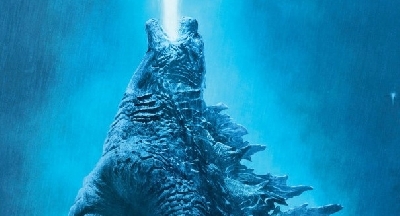 Y'know--The same box office number that topped Godzilla '14? Never really thought about it although some interesting posts have been made. I wonder if a focus group got caught up in a title and thought King was too gender biased. I had to throw that snark in there. What would even be considered as "King size"? Just call him King Kong, otherwise this happens. Who's with me? 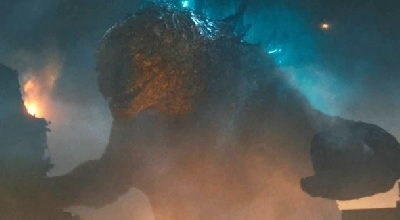 ^well I mean in the eyes of the monsterverse, "King" size would be Godzilla size I guess. Kong as of now is "Knight" size or at least maybe a "Queen" size. So to answer your question based on my silly entry, Kong in the current monsterverse is actually quite tiny compared to Godzilla. Godzilla is "King" size, both metaphorically and literally, thus calling Kong "King" right now only confirms that Godzilla is GOD size then. And what is a King compared to a GOD! I kinda hope that MONARCH has different classifications for different levels of M.U.T.O. species. For example, humongous nuke-proof M.U.T.O.s like Godzilla could be "Titan-Class", somewhat smaller ones like Kong could be "Goliath-Class", strange ones like the Shinomura could be "Chaos-Class", etc. ^you will be able to wake up and attack a giant metropolitan city feeling rested and energized. Also try our new California King Kong Mattress for those nights after combating that pesky 3 headed space monster that threatens your planet. Come on down... we are open all night. @TheGMan123 Are you saying that the Monsterverse should do what Pacific Rim basically does for its kaiju? A little bit, though with some clear differences. I highlighted how "strange" types of M.U.T.O. should have alternate classifications that are separate from mere size indicators. ^for this monsterverse to continue I would have to agree with you. 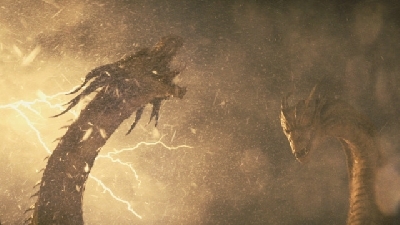 with K:SI having soo many MUTO's in it along with the MUTO's from G14, Monarch could have a MUTO classification by now right? 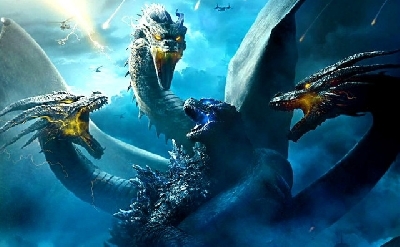 with Ghidorah and Mothra and Rodan in the mix I would hope they introduce us to something like that.